This is the time of year teenagers start thinking about summer jobs. What kind of jobs were available to teens in Malden seventy years ago? 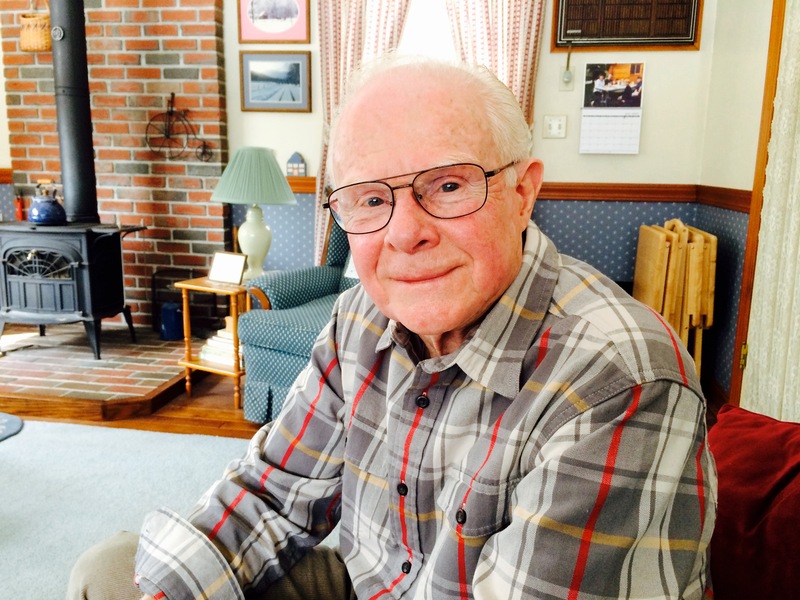 Warren Thorburn was just fifteen years old in the summer of 1945 when he took a job as a telegram delivery boy for the Malden office of Western Union. WWII in the Pacific was still raging, families were using ration stamps for food items and gasoline and the United States was just recovering from the Great Depression. There was no reliable or affordable long distance phone service then, and the only way to send a message quickly over any distance was by telegram using a system of electrical impulses and Morse Code. A base price of 10 words, and higher prices for additional words, kept most messages short not unlike texts and tweets today. Western Union had ads in all the big magazines of the day, such as Life and Look, urging people to send greetings or money by telegram. Warren lived with his family near Teele Square in Somerville. When he saw an ad in the weekly newspaper that said Western Union was hiring for the summer, he went to the office in Davis Square and applied. He was informed that they had no openings but they offered him a job week days in the Malden Western Union office. Warren was willing to go, but he did not know Malden at all. When he found the narrow storefront on Main Street near the intersection of Salem and Ferry streets, it had patriotic signs in the window with messages “Buy War Bonds.” The counter that filled two-thirds of the width of the office was for people coming in off the street to compose telegrams. On the side were four chairs for the delivery boys to sit and wait. Unlike what you may have seen in the movies, these boys were provided with no uniforms, badges or IDs They were given a pouch that went over the handlebars of their own bikes. Behind the counter, a woman sat at a rattling teletype machine and took the incoming telegrams arriving on a spool of buff-color narrow paper tape with adhesive on one side. She deftly applied these strips to a half-sheet form and with just one fold, she slipped the telegrams into a small business envelope with a translucent window. She would group the telegrams by neighborhood unless they were urgent. She would assign the boys and area and Warren remembers often being given telegrams for neighborhoods near the Everett line or in the area of Linden Square. The boys were instructed in their responsibilities. If it rained, they could get wet but NOT the telegram! And if they were delivering a telegram from the War Department, they were to be aware that the recipient might not want to see them coming. The recipient might scream or collapse in the doorway when they found out that their worst fears were a reality, that their loved one was missing in action or killed in the war. The boys were instructed never to leave the house too quickly because they might need to ride their bikes to the nearest police or fire station for help. 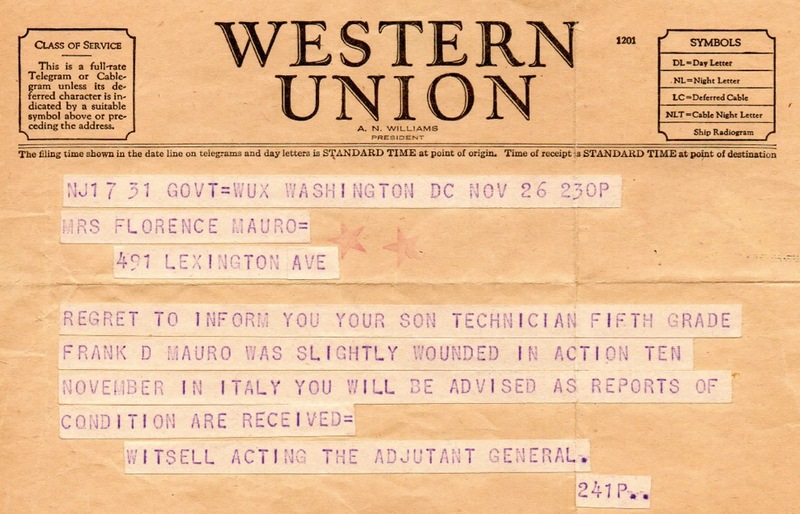 Warren delivered two of these difficult telegrams in that summer of 1945. Both times, the telegrams were received in deathly silence and the door closed. Warren walked slowly away and reported this back at the office. Many family friends on his own street in Somerville had received these telegrams of tragic endings. “But you don’t catch the gravity when you are fifteen,” said Warren. Warren occasionally got tips of a nickel or a dime. Those tips could buy candy, ice cream, or a comic book. Superman and Batman were popular even back then. But the base pay for a Western Union delivery boy was good for those days, 40 cents an hour, $16.00 a week! Customers were generally pleasant but there was not much conversation other than weather-related. After Warren rang the doorbell, he might be instructed to slip the message under the door or drop it in the mail slot. Telegrams were never left in mailboxes. Even though many telegrams contained birthday wishes, there were no singing telegrams. When the boys were waiting in the office, they poured over the Red Sox box scores in the newspapers. Ted Williams and Joe DiMaggio were their heroes. The All-Star Game, scheduled for Fenway Park in the summer of 1945, was cancelled because of the war effort. 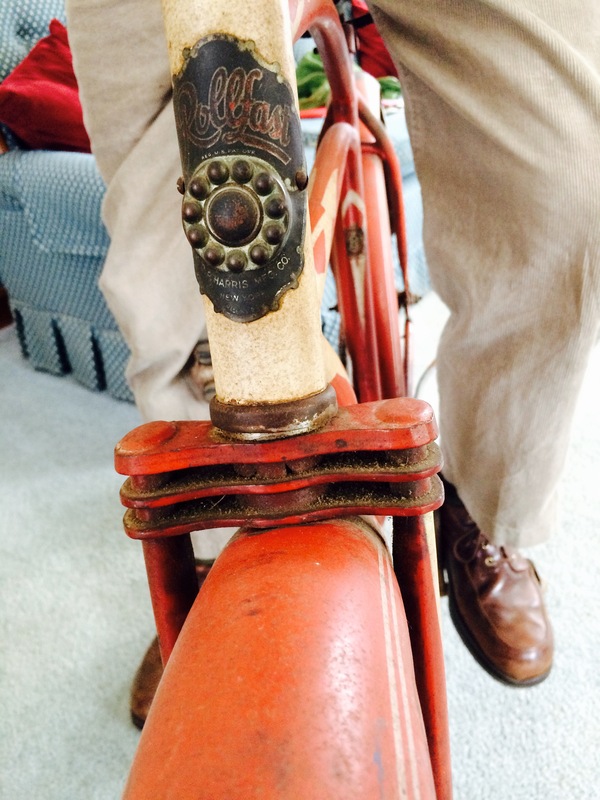 Warren Thorburn models his 70-year-old Rollfant bicycle. Photos by Sharon Santillo. Warren had a second-hand single speed Rollfant bike. It was hard work pedaling up and down Malden’s hills. There were not many cars back then and few bikes, but busses ran regularly between Somerville and Malden. Warren found it was most efficient for him to ride his bike from Somerville to Malden on Monday mornings arriving by 8 am, but then leave his bike locked in the office overnights until Friday when he rode it home. He took the bus back and forth in between. Next to the bus stop, newsboys sold papers, the Record American for two cents, the Globe, Herald and Post for three cents. Warren was waiting for the bus on August 7th when he looked down at the newsboy’s stack of papers. In bold black were the words, “FIRST ATOMIC BOMB DROPPED ON HIROSHIMA”. Warren had no idea what an atomic bomb was. It had been developed in total secrecy. It was radio news by suppertime and ended the war a few days later. Warren left the job on Labor Day, 1945, to return to high school. By March of the next year he was turning 16 and getting his driver’s license. 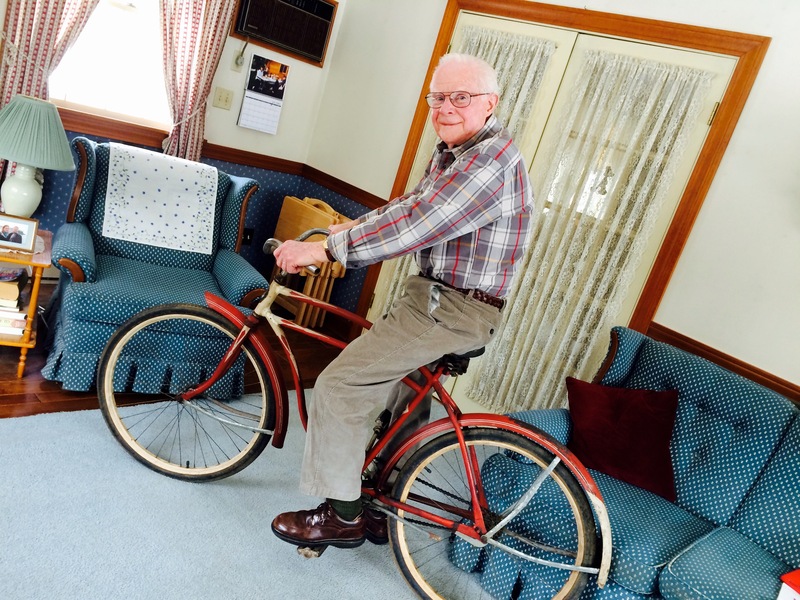 He never returned to Western Union, but he still has his bike these 70 years later. Both Warren Thorburn and his bike are in good health with most of their original parts. Sharon, a thoughtful and sensitive look at a man and his past. From a Neighborhood View reader: Great story on Warren, Sharon. That was a great post and the pictures were fabulous as well. I can’t believe he still has that bike! It’s a beauty with that double horizontal bar above and that headset photo, great details. Malden is incredibly hilly and doing those deliveries all over town must have been a real workout even for a 15 year old. Sharon, all those details that you so beautifully crafted into Warren’s story make it so interesting and easy to imagine him riding around Malden delivering his telegrams.